In post-war USA, “Skunk Works” was Lockheed Martin’s near-autonomous research and development group that gave the country products like the “U-2” spy plane or the “SR-71 Blackbird”, pushing technology to limits no one else had dared to explore before. A “Skunk Works” team headed by Thomas McGuire, MIT graduate and aeronautical engineer at a division humbly named “Revolutionary Technology Programs” recently presented their new “Compact Fusion Reactor” (CFR), a device which Lockheed claims will be small enough to fit on an eighteen-wheeler and be capable of providing enough power for a city of a hundred thousand people. Nuclear fusion is, in a way, the opposite of nuclear fission, the process used in nuclear power plants around the world today. Nuclear fusion has been a long-time dream of scientists, oft attempted but never accomplished, the challenge being to obtain more energy from the reaction constantly than is afforded to run it. It’s, as Lockheed points out, what the sun has been doing for us for a very long time. Related technologies like low energy nuclear reaction and transmutation utilize precious metals, or claim to produce technology metals as reaction byproducts. In simple words, this is how nuclear fusion works: two hydrogen isotopes, in this case deuterium and tritium, are released into a container under vacuum. When a sufficient amount of energy is added, the gas breaks up into ions and electrons, creating “plasma.” This plasma is incredibly hot; too hot for the containment vessel to withst and. Therefore, very strong magnets are used to prevent it from touching the container walls. This, in theory, causes the ions to collide and fuse together. The process then frees up neutrons that carry the released energy through the magnetic field to the reactor wall, where heat exchangers make it usable to power a turbine generator. To be clear, what the Lockheed team achieved so far is to contain the plasma within the magnetic field. They did not accomplish an “ignition” of the reaction which is the self-sustaining reaction required to make a practical energy source. This latter part is considered the much bigger challenge according to those who have failed. McGuire is optimistic, though: “We would like to get to a prototype in five generations. If we can meet our plan of doing a design-build-test generation every year, that will put us at about five years…, ” he said in an interview. If all goes well, the technology may be ready for production in about 10-15 years. 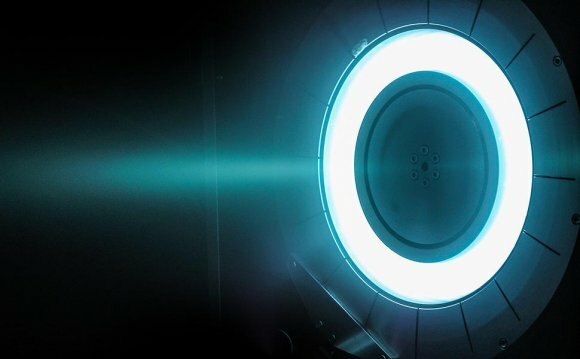 Lockheed estimates that less than 25kg of fuel would be required to run the device for an entire year. What is more, the units produce only very small amounts of radioactivity contained in steel elements of the shell, radioactivity that will reach safe levels after approximately 100 years, compared to the much longer decay periods of radioactive waste material from conventional nuclear power reactors. Has the energy crisis been solved? Of course it is too soon to tell – despite the demonstrative optimism the Skunk Works team has a long way to go. One thing is clear: if they win, technology metals win.